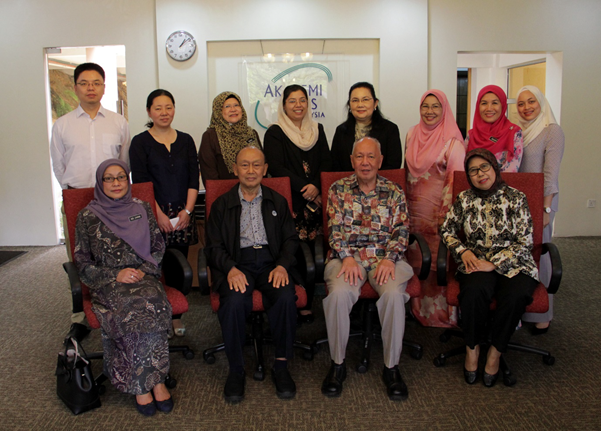 Inter Academy Partnership – Science Education Programme (IAP-SEP) and Academy of Sciences Malaysia jointly organized a “Workshop Workshop on Fusion of Civilizations Curriculum Design for Schools along One Belt One Road (OBOR) Countries in Kuala Lumpur, Malaysia from December 7-12, 2017. The Workshop aimed at engaging curriculum design experts and historians of Science & Technology to contribute towards the development of Curriculum based on the concept of “Fusion of Civilizations”. The project arose out of the need to inculcate peace and harmony through evidence based science education for children in the light of the current conflict and increase in violence in societies, and terrorism resulting in atrocities and displaces persons. The core objective of development of this curriculum is to foster peace right at the beginning of young children by employing Inquiry Based Science Education (IBSE) approach among the countries that share a common heritage of the ancient Silk Road. This can be achieved by reflecting on the history of science and technology of ancient civilizations from the Islamic Golden Age in the Middle East westwards to Europe and eastwards through Central Asia to India and China. ECO Science Foundation (ECOSF) is collaborating with IAP SEP, Chinese Association of Science and Technology (CAST), Children’s Science Instructors (CACSI), Children and Youth Science Center of CAST (CYSCC) for development of this project. ECOSF is contributing to this project by facilitating the participation of renowned experts on Curriculum Design and Historians of Science and Technology from the ECO Member States in the development of this curriculum. Two forums were held to discuss the concept paper (in Khartoum, Sudan 6-7 Feb 2017) and in Beijing (3-5 July 2017) which was attended by scientists, science experts and historians. This curriculum not only help to relate the early scientific discoveries to modern science but also to acknowledge that progress in science is not due to the discoveries of any particular civilization as well as instil respect amongst pupils. Above all, students will learn tolerance, understanding and respect for one another's culture and tradition. There is a need to develop a curriculum on the fusion of civilizations highlighting the discoveries and contributions of culture, trade, science and technology from each civilization and their beneficial impacts on other civilizations through the land and oceanic silk roads. It will hopefully instill respect amongst the young and promote tolerance, understanding and respect for one another's culture and tradition. This workshop assembled a working group of curriculum designers and science communicators to get down to work on the school curriculum. The idea of implementing the fusion of civilization curriculum in the existing educational program has been debated since lately. It has been thought and believed as the new approach to promote world peace and harmonious human life among students from young age. By understanding and having good perception of different civilizations that contribute to present day knowledge, children will appreciate the need and importance to live in peace and harmony. Based on this premise Fusion of Civilization Education (FoCEd) Curriculum has been formulated and develop to address and fulfil the needs. FoCEd curriculum is formulated in line with thinking that connectivity of discoveries in each civilization along the Belt and Road (B&R) Initiative and how such discoveries influence the cultures and civilizations for the betterment of human condition along the B&R countries and regions. Understanding the connectivity between neighboring cultures and civilizations among children could be an approach to instill the awareness of the importance of living in peace and harmony. The content of the curriculum also include the role of the great travelers along the B&R that helped to spread the fusion of B&R civilizations. FoCEd Curriculum framework includes Big Idea, Concept, Competency, Connectivity. However, Level and Standard should be determined by countries themselves to plan, adopt and adapt FoCEd framework and materials. Concept: Describe what students should acquire i.e. knowledge, skills, values, beliefs and habits that related to fusion of civilizations under each Big Idea as a result of teaching and learning specific to grade level. Connectivity: Describe the link among civilizations that contribute to present day knowledge to bring about the acceptance of differences for peace and harmony. 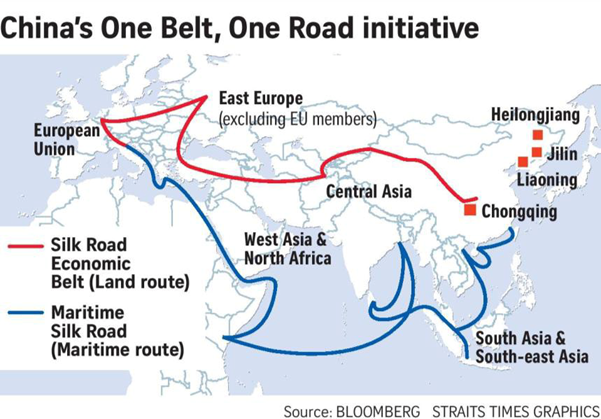 The civilizations include ancient discoveries and inventors of civilizations along Belt and Road countries that contribute to the present innovations. Competency: Describe what students should be able to know, to do and to perceive the fusion of civilizations as a result of the instruction, specific to grade level. Dato' Ir. (Dr.) Lee Yee Cheong, IAP SEP Global Council Chair. Prof. Ye Zhaoning, Associate Professor, Research Center for Learning Science, Southeast University, Nanjin, Jiangsu Province, China. Dr. Chen Wei, Assistant Researcher, Institute for the History and Natural Sciences, Chinese Academy of Sciences, Beijing, China. Dr. Tasneem Anwar, Assistant Professor, Science Education, Lead Faculty, Virtual Learning Environment (VLE) The Aga Khan University, Institute for Educational Development, Pakistan. Dr. Indarjani, Deputy Director for Programme, SEAMEO Regional Center for QITEP in Science, Bandung, Indonesia. Dr. Aphiya Hathayatham, Vice-President, National Science Museum, Thailand. Datin Seri Norzamani Abdol, Deputy Director, School Management Division, history curriculum expert and former head of History, Curriculum Development Division, Ministry of EducationMalaysia. Mrs. Zainon Abd Majid, Head of Science Unit, Curriculum Development Division, Ministry of Education Malaysia and science curriculum expert. Mrs. Salbiah Mohd Som, Senior Lecturer, Selangor Matriculation College, science curriculum expert and former science officer Curriculum Management Division. Datin Maharom Mahmood, former Head of History & Local Studies Unit, Curriculum Development Division and history curriculum expert (retired).